In the second History and Computing Workshop held in the Department of History at York University, I took faculty and graduate students through an overview of the use of tablet computers for history teaching and research. The most common tablet computer is, of course, Apple’s iPad so I focused my discussion on apps for that device, but we also reviewed some Android tablet apps. In 2010, Apple introduced the iPad, a new device that almost entirely changed the product category for tablet computing. Computer hardware manufacturers and media companies had long dreamed of designing such devices. In 1994, Knight-Ridder, a news media company, produced an incredibly prescient concept video for a tablet newspaper that foreshadowed many of the innovations of the iPad. The use of a capacitive multi-touch screen sensitive to human fingertips turned out to be one of the most significant transformations of the tablet computer. Users no longer needed to reach for clumsy, inaccurate, and easy to lose stylus pens. Instead, they could simply use what the late Steve Jobs referred to as “the best pointing device in the world,” a finger. The capacitive multi-touch screen also added new degrees of precision to tablet computing that resistive touch screens could not provide, allowing users to type faster, pinch to zoom into images, and rotate images with two fingers. It also allowed for gesture controls and the elimination of hardware buttons, simplifying the interface. Previous tablet PCs tended to use tablet versions of the Windows operating systems that simply replicated the standard Windows desktop experience. The problem, of course, was that Windows was designed to be used with a mouse and pointer, not a stylus or a finger. Apple’s iOS operating system, built upon the software of the original iPhone, was designed for fingers. The icons and other on-screen buttons were all intended to be large and responsive to finger presses and swipes. Moreover, the text and image sizes on most iOS applications also tended to be touch-friendly. Touch-based computing devices, including Personal Digital Assistants and tablet PCs, often had text input problems. Palm’s PDAs relied on Graffiti, a proprietary scribble language that attempted to replicate natural handwriting, while Windows tablets used awkward on-screen keyboards. Building again on innovations from the iPhone, the iPad used contextually appropriate on-screen keyboards. The keyboard pops up with the correct configuration for the task when it is needed and slides away when you are done. The capacitive touchscreen is accurate and the auto-correct software (although occasionally inaccurate) assists the writer with any inadvertent errors or misinterpreted button presses. Because the iPad uses an ARM-based CPU and other energy efficiency measures, it can carry a charge for more than ten hours. In 2010, the battery life of the iPad far out-paced any other tablet computing devices. Windows tablets depended exclusively on x86 CPUs, which tended to have very high energy demands and required fans for cooling, which further sapped battery life. The extended battery life of the iPad not only made the device easier to use, it also opened up entirely new practical uses as a productivity computer. The physical footprint of the iPad was considerably smaller than previous tablet PCs. Weighing less than 700g for the wi-fi only version, the original iPad was a device that users could comfortably carry in their hands without undue strain or discomfort. Finally, Apple opened its entire App Store and iOS software development kit to developers to create a suite of touch-based applications for the iPad. Rather than trying to cram desktop applications onto a small touchscreen, the iPad relied on a unique collection of tablet-specific applications. Goodreader is hands-down the best document reading application I have ever used on the iPad. Aside from the Safari browser, it is the app I use most frequently. Digital reading consumes greater and greater amounts of my work time as journals and books have increasingly shifted to PDF and other ebook formats. I have found that Goodreader meets almost all of my digital reading needs. The software is incredibly robust, offering so many options and configurations that I have yet to discover them all. It allows users to save and store PDF articles offline, with wireless or wired transfer. Users can annotate articles with comments, sticky notes, highlighting, and free-hand drawing. 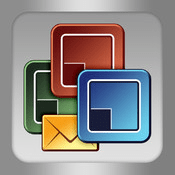 Documents can be easily shared via email or printed directly from the app. Goodreader integrates and synchronizes directly with several cloud storage services, including Dropbox, Box, SugarSync, iCloud, and Skydrive. Power users can even link the app to their own FTP servers. Most importantly, however, the viewing of PDF documents is smooth and responsive. One of the troubles that I had with other document readers was that they were often sluggish and they struggled to render PDF images in a snappy manner. Goodreader can easily handle anything from a thirty-page journal article to a three-hundred page ebook. Historians read a lot and a good reading application is fundamental to the utility of a tablet computer. While Goodreader is my top pick for a reading app, Documents to Go is my favourite writing app. There are several popular document writing and editing applications available for the iPad and Android tablets, including Quick Office, Pages, and Google Drive, but I have long been a user of Documents to Go ever since I got my first Palm PDA in the late 1990s. 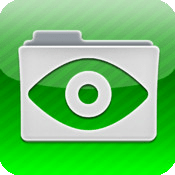 Documents to Go, by DataViz, was one of the first apps to allow users to create and edit .doc files on iOS devices, including the iPad. The company also sells versions for Android and Blackberry tablets. In addition to its excellent text input, range of fonts, and formatting interface, Documents to Go is fully interoperable with Microsoft Office. That means that you can easily swap between desktop and tablet interfaces as you move from work to home. 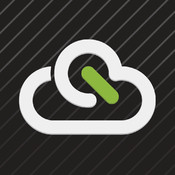 This is made much simpler with integrated cloud storage support, including Dropbox, SugarSync, Box, and Google Docs. Documents to Go is my primary note-taking application. Whether I’m in a meeting or taking notes on a new journal article or book, I typically use Documents to Go. Many tablet users rely on services like Evernote for note-taking, but the interoperability with Microsoft Word means that I can take notes during a department meeting, instantly synchronize those notes with Dropbox, and pick up where I left off when I return to my desktop PC in my office. Although I do not use this app very regularly, I find myself turning to Cloud On when I need to quickly edit a PowerPoint document or a complicated Word document with footnotes. Most document editing applications on tablets do not allow for PowerPoint editing or footnote editing with the same set of features as Microsoft Word. Cloud On solves that problem by virtualizing a complete version of Microsoft Office and streaming it to the iPad. While much more sluggish than Documents to Go, Cloud On offers the full suite of editing options for Microsoft Office. One major downside of this app, however, is that it requires a constant internet connection. Some historians may already be familiar with the visually impressive, cloud-based presentation software called Prezi. While I still prefer to use PowerPoint when I lecture, Prezi is a superb tool for presenting conference papers that use photographic evidence and maps. Prezi also has one of the best iPad apps for conference presentations. The app is simple and it integrates with your online Prezi account. It also allows for offline storage of presentations for those occasions when the internet is unavailable or unreliable (as is often the case at academic conferences). To move from point to point in your presentation, you simply tap the screen. The app also allows users to pinch and zoom at will and slide around the entire presentation with the touch of a finger. Prezi presentations on the desktop call out to be touched and the iPad app allows users to do just that. 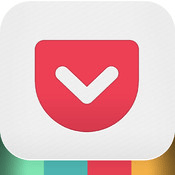 Formerly known as “Read It Later,” pocket is an offline reading app that allows users to save online articles and other web links for later. Have you ever stumbled across a fascinating article on University Affairs or Inside Higher Ed, but you don’t have the time to sit and read the whole article in the moment? Pocket saves those articles and re-formats them in an offline and easy to read manner. It is effectively a tool for users to create their own digital magazines and journals. I often use Pocket to save H-Net book reviews that used to pile up in my email inbox. Ebrary is the primary scholarly ebook library available in Canada and it recently released an iOS application for iPad. This app, while a very limited ereading application, allows you to download and save Ebrary books for offline reading. This can be very useful when you assign an Ebrary ebook for a course or for your own secondary source research. One major limitation, however, is that not all Ebrary ebooks are available for offline reading. As such, this app only indexes a limited number of the total Ebrary catalogue. The open web continues to provide historians with the best digital resources for teaching and research. The Safari browser on iPad, while limited in may ways, continues to offer access to a broad range of web resources and applications. 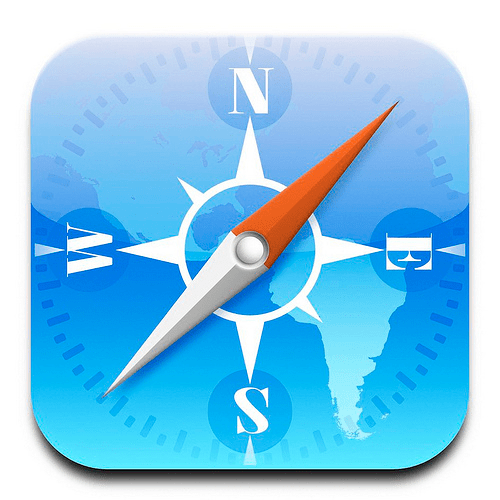 I use the Safari browser to manage my course Moodle sites, search the Internet Archive for digitized primary sources, update my WordPress website, and much more. Those are just a few of the apps that I use most frequently on the iPad in my work as a historian. Please let me know what apps you use in the comments below. I found your comments quite helpful, even for applications that I am more familiar with, like Safari and Prezi. I use the voice recognition software Dictate for the Mac to reduce the strain on my hands and arms. It is quirky and idiosyncratic at times — I never seem to have the time to call the tech support about the quirkiness, which I may find could be resolved easily — but it works well for grading hardcopies of student work and making notes on books that I can hold. It is not good for making notes on something I’m reading online on the same screen. I do not use an iPad yet, but have considered it for that very reason. Also, I don’t find voice recognition very useful for actually writing up my own research. So I’m wondering if voice recognition software like Dictate can work on an iPad. Thanks again for this detailed report on iPad apps. 1.) The 3rd and 4th generations of the iPad include speech recognition software in the operating system. There is a small microphone button on the keyboard that permits users to optionally input text with speech in any field. I use a 2nd generation iPad so I have not been able to test this feature, but I have tried a similar feature on an Android 4.2 device and it seems to work really well. Like all speech recognition software it struggles with less common words and proper nouns, but it has come in handy for quick note taking tasks. 2.) The best third party speech recognition software for iPad that I have used is Dragon Dictation. Because it is not integrated into the operative system, however, it cannot easily be pulled up for any text field, as you might expect on a desktop operating system, like Windows or Mac OSX. This is helpful feedback. Thanks so much Sean. Great work you’re doing! Thanks so much for this. the app I use most frequently on my ipad is the web magazine zite. I really love it for capturing eclectic articles on the web. You can tailor it to go out and grab articles based on a series of preferences you set up. It gets smarter over time — as you like articles you read there, it will look for more of the same kind of thing — writing tips, history, politics, design, technology… whatever your interests are. Plus the format is really user-friendly and attractive. I usually dip in and out of it when I’m waiting for someone, reading late at night or waiting for the bus. Great recommendation. I haven’t yet tried Zite. I use Flipboard, but it does not seem to have the same kind of auto-recommendation engine as Zite. I really enjoyed this concise explanation of what iPad ownership offers an historian, Sean! A colleague recently asked me what “the big fuss” was about the iPad. I’ve forwarded him this post. I myself haven’t encountered Prezi before… I’m going to give it a go, as I haven’t found a presentation app I like. I have owned an iPad for a year now and am I’m still finding ways of improving my day-to-day workflow. Have you done much with PDF annotation? Perhaps the biggest change the iPad brought to my academic life is that I now grade student papers electronically using an annotator called “GoodNotes.” (I wrote about it recently: http://bit.ly/WN9bjw) I’d be curious to hear how you or others have utilized similar apps — particularly if there is an annotation app out there which synchs elegantly with Google Drive. I’m glad you found this post useful. 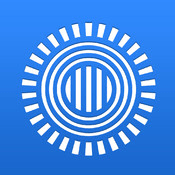 Regarding Prezi, this is an excellent presentation app for conferences more than teaching. I find that PowerPoint still handles text better than Prezi. Prezi is superb for presenting photographs and maps. You can zoom in to different parts of images and with the iPad this can even be done manually with pinch-to-zoom and two-finger rotation gestures. Goodreader supports a wide range of annotations, including highlighting, sticky notes, freehand drawing, and shape drawing. I use it to sign digital documents and I use it very regularly for manuscript review work. I have yet to apply this to my undergraduate marking. I may do this in the future. It sounds like you have had good success. I have not tested synchronization with Goodreader and Google Drive, but I have tested it with Dropbox and it works flawlessly and offers a full suite of sync options. When I use Goodreader to review a draft manuscript, I can have all of my annotations synced immediately to a copy on my desktop PC via Dropbox. It’s brilliant. When the iPad first hit the market, I was concerned that the closed nature of the App Store and the lack of access to the file system would limit the utility of this tablet for my own work. I am pleased, however, that many of the third party apps, like Documents to Go and Goodreader, which support a wide range of file formats, have opened up the iPad and unlocked some great utility for scholarly work. Synchronization with cloud storage services, including Dropbox and others, has also been key to making the iPad incredibly useful in my own workflow.